Worship leaders must continually stay fresh in our work. 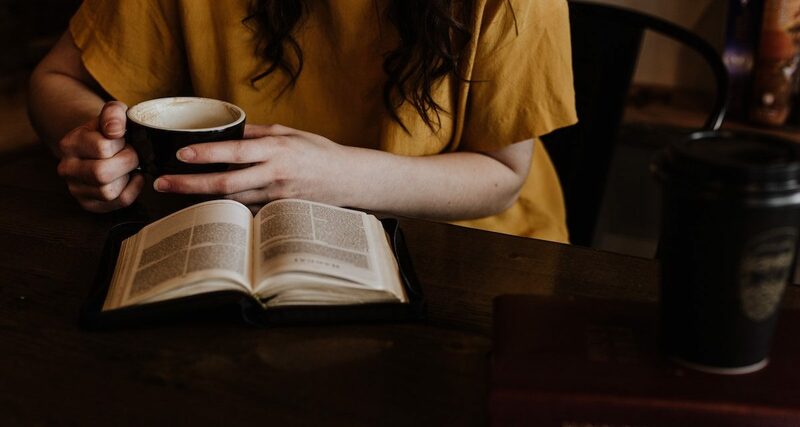 One great way is to read books on worship. I have compiled a two-part list of some of the best books for you to read. The first ten books are considered by many to be the best place to start. Only one title per author made this list; you may find additional books by that author in the remaining list coming soon. I encourage you to take some time every week or every day to broaden your understanding of worship. It will yield great results in your ministry. Worship Matters, by Bob Kauflin is a great place to start. Click on any book title or cover image to be taken to a page to learn more and purchase the book. God has a story. Worship does God’s story. There is a crisis of worship today. The problem goes beyond matters of style–it is a crisis of content and of form. Worship in churches today is too often dead and dry, or busy and self-involved. Robert Webber attributes these problems to a loss of vision of God and of God’s narrative in past, present, and future history. As he examines worship practices of Old Testament Israel and the early church, Webber uncovers ancient principles and practices that can reinvigorate our worship today and into the future. The final volume in Webber’s acclaimed Ancient-Future series, Ancient-Future Worship is the culmination of a lifetime of study and reflection on Christian worship. Here is an urgent call to recover a vigorous, God-glorifying, transformative worship through the enactment and proclamation of God’s glorious story. The road to the future, argues Webber, runs through the past. Worship is of immense concern in the church and ironically the source of controversy and dispute. Can we get behind the question of what style of worship we should engage in to understand the bedrock foundation for God’s people–honoring him as he desires? Is the dissatisfaction with worship voiced by so many perhaps a result of our having wandered from biblical teaching on the subject? Through careful exegesis in both Old and New Testaments, David Peterson unveils the total life-orientation of worship that is found in Scripture. Rather than determining for ourselves how we should worship, we, his people, are called to engage with God on the terms he proposes and in the way he alone makes possible. 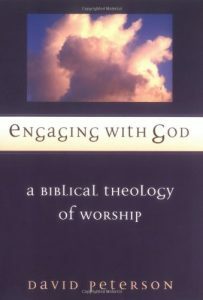 This book calls for a radical rethinking of the meaning and practice of worship, especially by those responsible for leading congregations. Here is the starting place for recovering the richness of biblical worship. 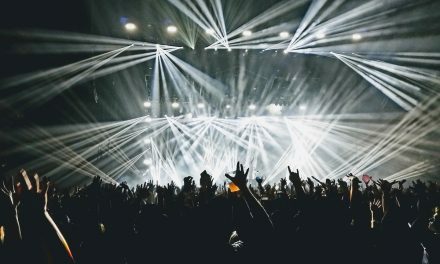 The church can be so enthusiastic for the product an artist or musician produces that issues of character and commitment are often glossed over. This book faces those concerns head on. Looking at the particular gifts and challenges that artists bring to the spiritual life, Noland uses his experiences of discipling artists to explore issues such as servanthood versus stardom, teamwork versus lone-ranger Christianity, and excellence versus perfectionism. This is the only book written especially to help artists and those who work with artists take seriously God’s call to character growth in their Christian lives. Andy Park writes, “I’ve learned through the years that becoming a worship leader involves far more than developing a set of skills–it’s all about developing a life in God.” Here’s your opportunity to sit at the feet of one who has for twenty-five years led contemporary worship services in the United States and Canada. In Park’s book you’ll get an inside look at how this worship leader has learned to follow the leading of the Spirit as he brings others into God’s presence. And you’ll find practical advice, experienced counsel and inspiring ideas on a variety of issues like songwriting, pulling together a team, staying humble, planning the flow of worship, what to do in times of dryness, working with the pastor and much more! Above all, Park will help you discover what it means for you as a worship leader to be first and foremost a worshiper. 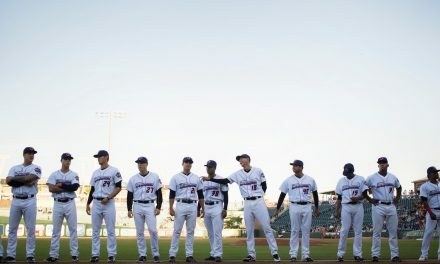 A.W. Tozer earned a legendary reputation as a prophetic voice, and he continues to be a bestselling author half a century after his death. A preacher at heart, he found his greatest joy in practicing the presence of God.Worship was his focus and his passion. His sermons were such a strong declaration of what he discovered during private prayer and worship of the triune God that he had both the ability and the Spirit’s anointing to move his listeners to wrestle with what God was saying to the Church. His writings carry the same message with the same result to a new generation of worshipers. 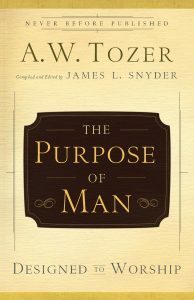 The Purpose of Man is the perfect introduction to Tozer. Drawn from messages he called his best teaching, this book will also delight those already familiar with, moved by and changed by his other classics. What Tozer offers on the subject of worship here in The Purpose of Man will challenge you to reconsider your life’s priorities while at the same time hold out a cup of Living Water for your soul. We are not created to worship. Nor are we created for worship. We are created worshiping. Too often Christians have only thought of worship in terms of particular musical styles or liturgical formats. But a proper view of worship is far larger than what takes place in churches on Sunday mornings. Worship is not limited to specific times, places or activities. God is by his very nature continuously outpouring himself. Because we are created in his image, we too are continually pouring ourselves in various directions, whether toward God or toward false gods. All of us, Christian or not, are always worshiping, whether or not that worship is directed toward God. We are unceasing worshipers. 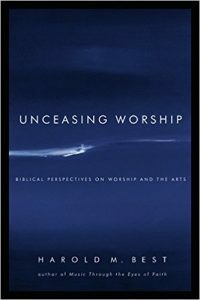 The fruition of a lifetime of study, reflection and experience, this volume sets forth Harold M. Best’s understanding of worship and the arts. Widely respected as one of the foremost thinkers and practitioners in his field, Best explores the full scope of worship as continuous outpouring in all settings and contexts. With careful exposition and eloquent analysis, Best casts a holistic vision for worship that transcends narrow discussions of musical style or congregational preference. On this broader canvas, Best addresses popular misunderstandings about the use of music and offers correctives toward a more biblically consistent practice of artistic action. Incisive, biblical, profound and comprehensive, Best’s landmark volume is one by which all other statements on worship and the arts will be measured. There are many books available on the topic of worship today, but few provide a comprehensive, practical method for worship design. 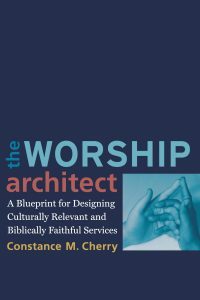 Constance M. Cherry, a worship professor and practitioner, provides worship leaders with credible blueprint plans for successfully designing worship services that foster meaningful conversation with God and the gathered community. Readers will learn how to create services that are faithful to Scripture, historically conscious, relevant to God, Christ-centered, and engaging for worshipers of all ages in the twenty-first century. 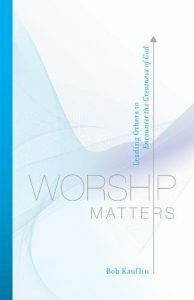 The book sets forth basic principles concerning worship design and demonstrates how these principles are conducive to virtually any style of worship practiced today in a myriad of Christian communities. 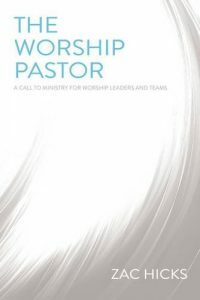 It will also work well as a guide for worship-planning teams in local churches and provide insight for worship students, pastors, and church leaders involved in congregational worship. Why do you lead worship? Often the motives are mixed. You find yourself wanting to point people to Jesus but also feeling a desire to be noticed and praised, to make yourself the center of attention. Stephen Miller is the worship pastor for a large church of young, energetic Christians. He and his band record albums and lead worship for conferences all over the country. He knows the temptation to make himself the show, to pursue fame, to seek the applause of other people. And he has learned to want nothing to do with it. 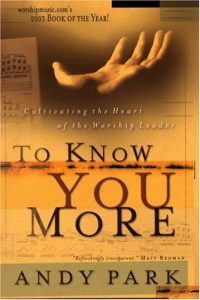 In this book, Miller exhorts his fellow worship leaders to make Jesus the center of all their efforts. He teaches how to do this with Scripture, teaching, prayer, story, and song. In all, Miller’s call for worship leaders is to lead worship, whole-hearted and whole-minded exalting of God, rather than making a spectacle out of it. 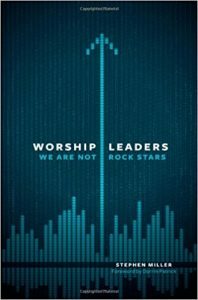 Worship Leaders, We’re Not Rock Stars will encourage and challenge worship leaders by clarifying their purpose and identity, and by doing so will bless those they lead. Nothing is more essential than knowing how to worship the God who created us. 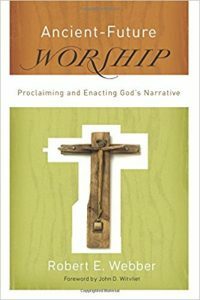 This book focuses readers on the essentials of God-honoring worship, combining biblical foundations with practical application in a way that works in the real world. The author, a pastor and noted songwriter, skillfully instructs pastors, musicians, and church leaders so that they can root their congregational worship in unchanging scriptural principles, not divisive cultural trends. 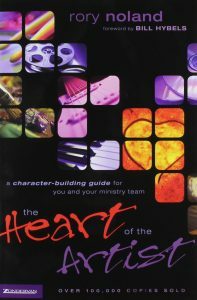 Bob Kauflin covers a variety of topics such as the devastating effects of worshiping the wrong things, how to base our worship on God’s self-revelation rather than our assumptions, the fuel of worship, the community of worship, and the ways that eternity’s worship should affect our earthly worship. Modern worship leaders are restless. They have inherited a model of leadership that equates leading worship with being a rock star. But leading worship is more than a performance, it’s about shaping souls and making disciples. Every worship leader is really a pastor. 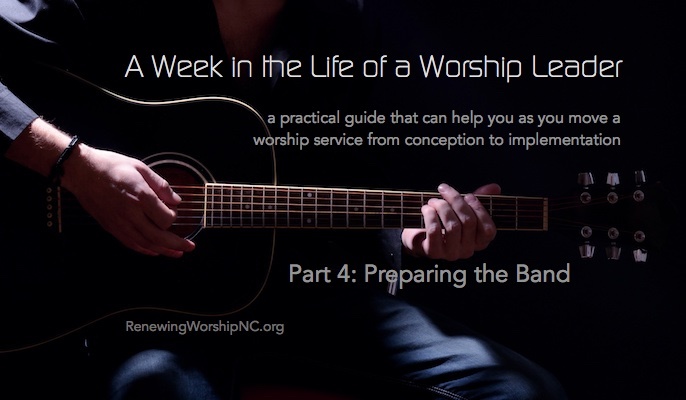 The Worship Pastor is a practical and biblical introduction to this essential pastoral role. Filled with engaging, illustrative stories it is organized to address questions of theory and practice, striving to balance conversational accessibility with informed instruction. It is meant to be read by pastors, worship leaders, worship teams, and anyone else interested in deepening their understanding and experience of worship. Not specifically worship related (though it addresses the area of worship): Francis Chan’s Letters to the Church is top of my list right now. Thanks for the list. Having read only two of these, it looks like I have my reading list cut out for me.